The classic match-3 puzzle returns with over 70 all new jewel boards! Solve challenging puzzles by swapping adjacent gems to match three of a kind. Turn every tile on the board to gold to pass each level and complete the quest! Improve your score and try to achieve three stars on every level. 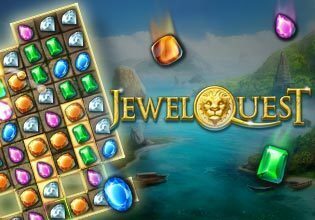 Jewel Quest is a fun puzzle adventure for the whole family! Jewel Quest is also available to download on PC, Mac, iOS, Android and Amazon Fire mobile devices.